Parking lot art, again. The white line and the square of the access panel are not parallel with each other. Which one defines the true geometry of the parking lot? 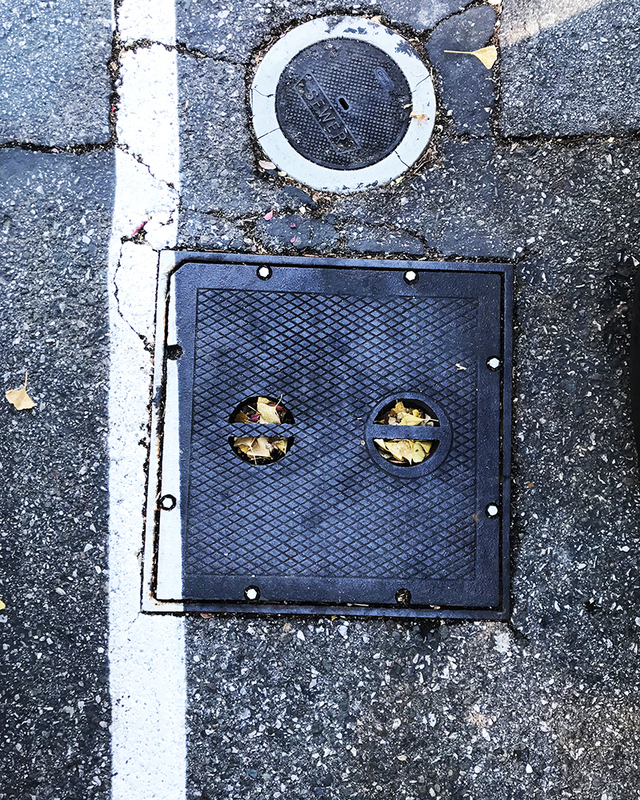 This entry was posted in Personal Stories and tagged abstract art, abstract photography, art, creativity, found art, geometry, parking lot, photography, street photography, visual arts. Bookmark the permalink.